From Goodreads ~ Garth Callaghan doesn’t know how long he has to live. But he can be certain of one simple thing: No matter his fate, his daughter, Emma, will find a handwritten note inside her lunchbox each day until she graduates from high school. 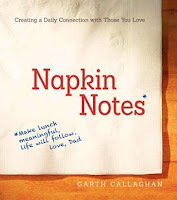 Cancer has given Garth Callaghan a new purpose: to inspire parents to connect more with their children even in small ways, as he has done before and since his diagnosis by tucking a napkin note into his daughter’s lunch every day. 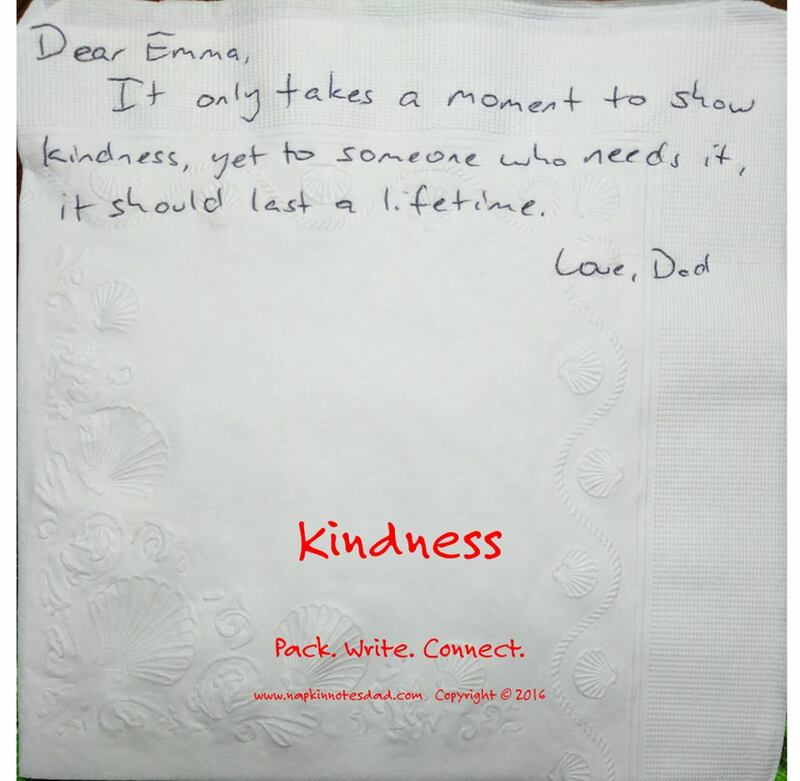 Every morning as he packs Emma’s lunch, Garth adds a little surprise: a “napkin note” - a short, tender message to convey his love, encouragement, and pride. 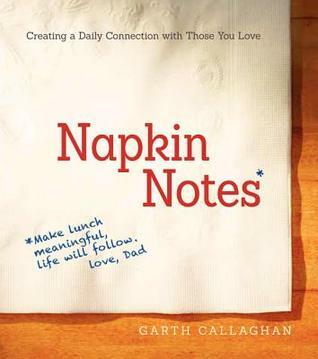 Garth began writing his napkin notes when Emma was in grade school, and as she grew up, his notes became more meaningful. Shortly after Emma turned twelve, Garth learned he had kidney cancer. Determined to make the time he has left meaningful, he has compiled years’ worth of notes to get his daughter through her high school graduation. Now, in this moving book, a blend of inspiration and memoir, he makes his remarkable legacy available to all of us, to deepen our relationships with our own children and those we love. 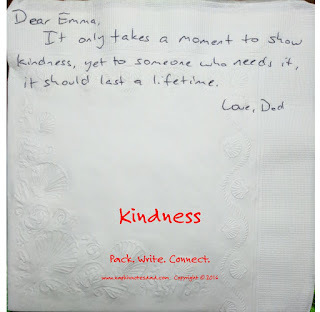 Garth has been making lunches for Emma, his daughter, for a few years and has been writing inspirational words on her napkin to encourage her and to show her that he loves her. A couple years ago when Emma was 12, Garth (in his 40s) discovered he had cancer. To date he has had cancer four times. He has an 8% chance of living another five years so in addition to writing this book, he has written enough "Napkin Notes" (826 notes) to last until Emma graduates from high school, in case he is no longer there for her. Each chapter starts with a message from a "Napkin Note" and then the story that is behind the message. Plus there are life lessons such as learn how to take criticism with grace (lesson #1) and work as a waitress (lesson #27). Along the way, we get to know the author and his family and the journey that has taken him to today. The book is a reminder to life each day to the fullest and also to be nice to others and show appreciation.